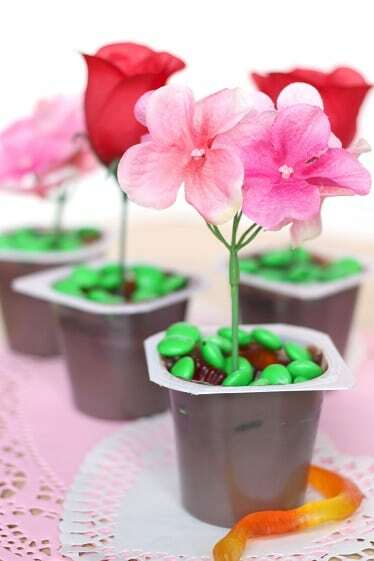 When I was asked to come up with a fun mix-in idea for Snack Pack pudding cups, I knew right away that I wanted to make a “Pick Me!” flower garden. We’ve been working a lot on our own garden this past year so my kids are super into flowers and plants. 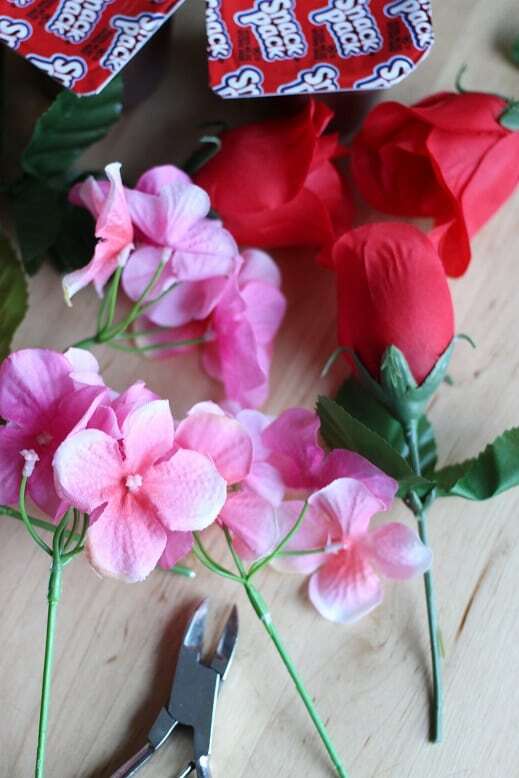 We also did a big lesson on plant anatomy and life cycles, so it was really perfect timing. 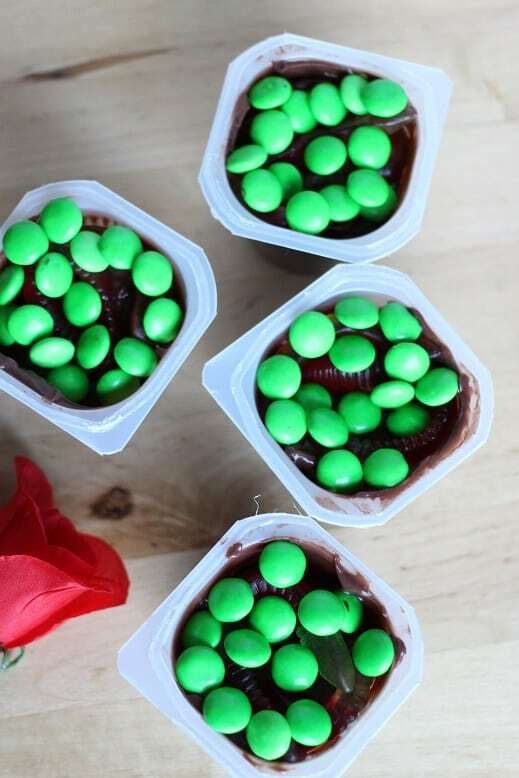 Plus, who doesn’t like to bury gummy worms in chocolate pudding and freak out their kids? 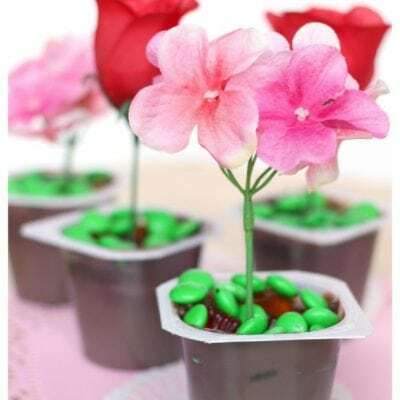 These cute flower cups come together in no time and I was able to grab everything I needed with a quick trip to Walmart. My kids absolutely adored them, and my boys thought the worm surprise was hilarious. 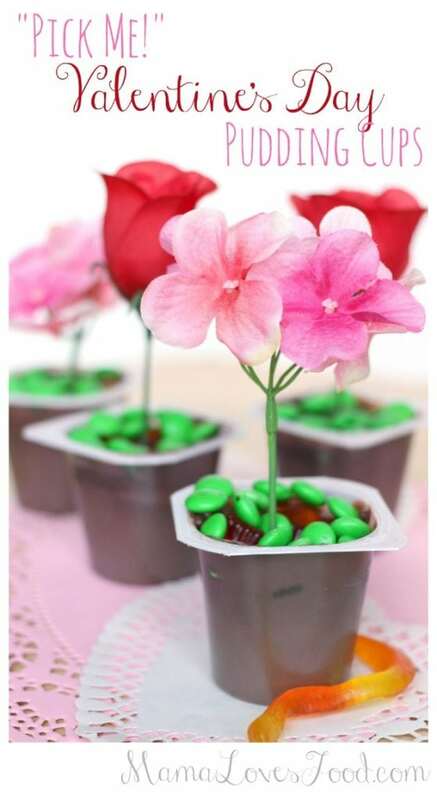 Wouldn’t it be just precious to do a whole “garden” of pudding cup flowers for a party? 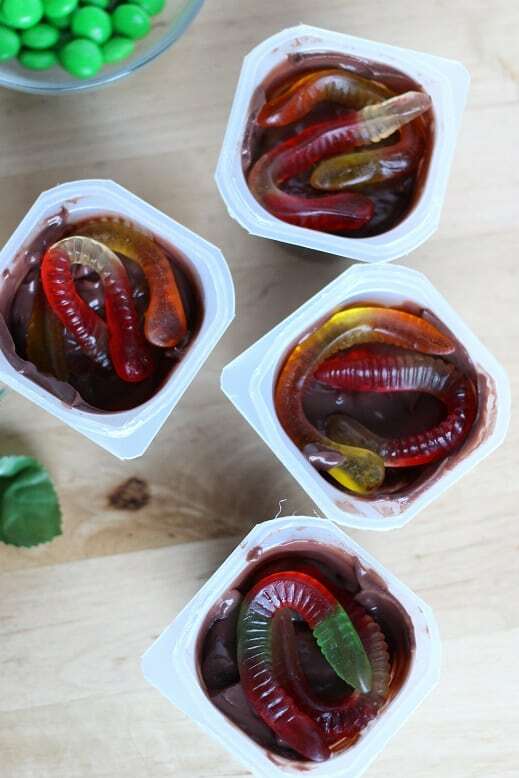 Remove pudding cup lids and place 2-3 gummy worms on top of pudding. Layer green candy or sprinkles over worms. 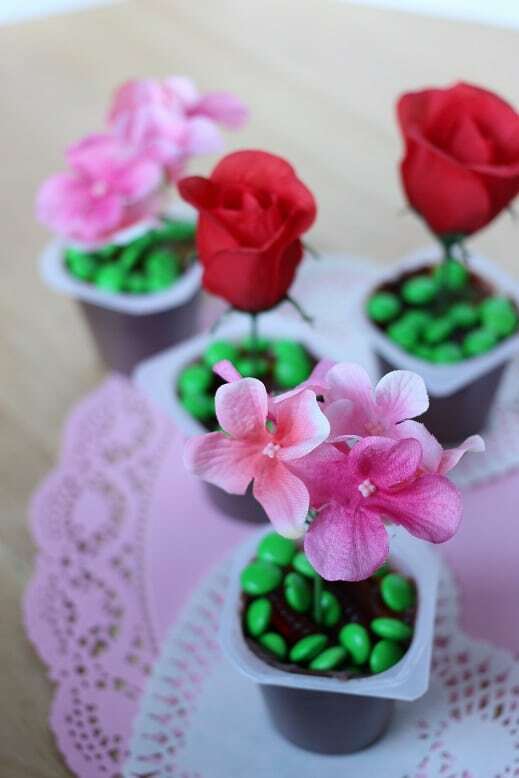 Cut flowers down to an appropriate length and stick them into pudding cups. 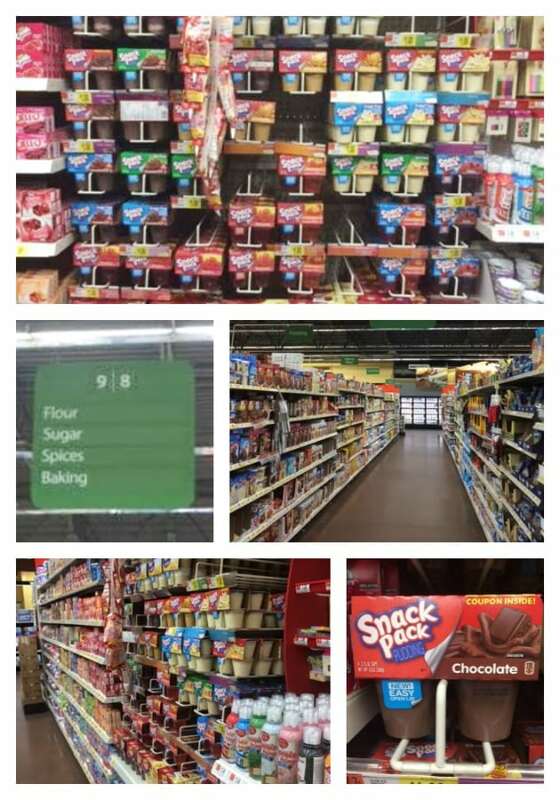 Let your kids "pick" one and ENJOY! 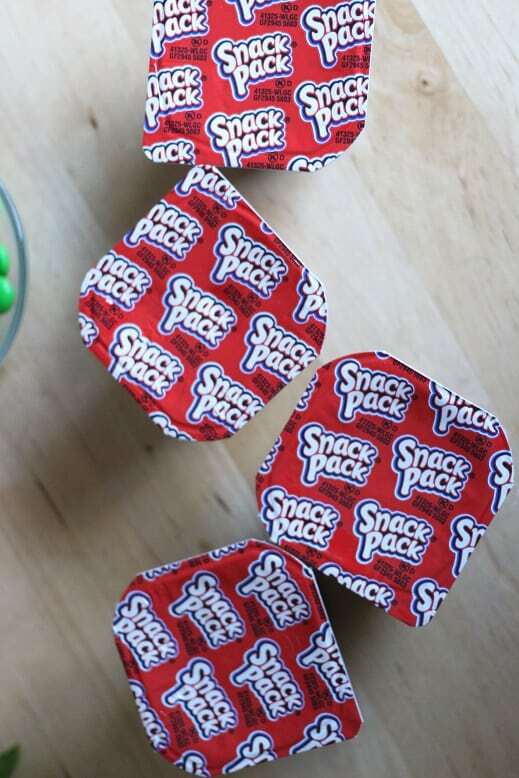 Did you know one Snack Pack contains about the same amount of calcium as an 8 oz glass of milk, and they’re now even easier to get at with new Easy Open Lids! 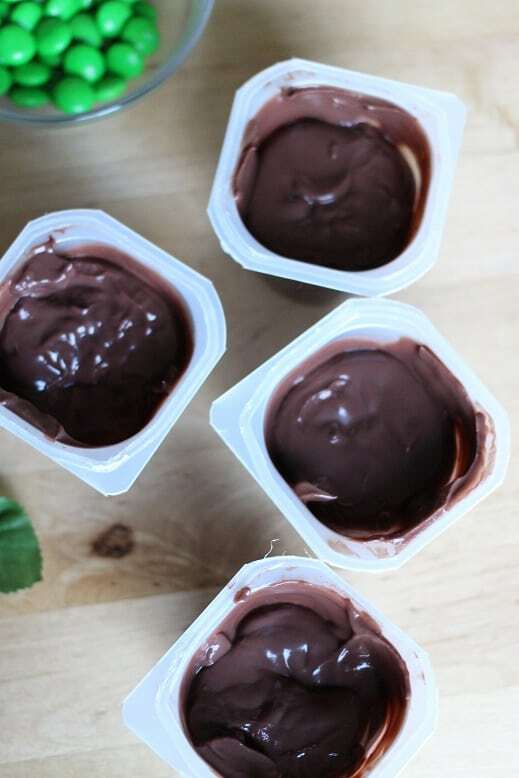 Let your kids “pick” one and ENJOY! « How to Cook the PERFECT Steak and Skip the Restaurant! Cutest idea! I don’t have any small ones around any more but I would have loved to have had this idea then! 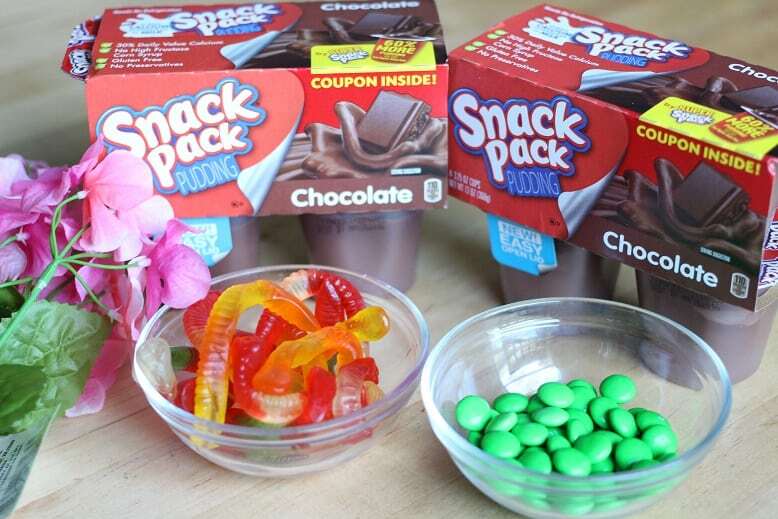 Sweet chocolate, candies, posies and gummy worms, a kids paradise! 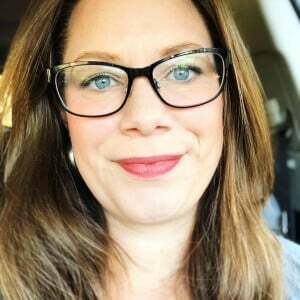 Hope some young Moms will use the idea. Thank you, April.